The most obvious solution: the online documentation is here. This one is not so obvious since you would expect the javadoc for the 2.3.3 API to be located under the “Android 2.3.3 (API 10)” section. This essentially downloads a copy of the online documentation to [ANDROID_SDK_HOME]/docs. From there, you can filter by API level exactly like in the online documentation. That’s the only way to download an “official” javadoc. Go to Maven Central and search for “com.google.android” (or click here) and you’ll get access to tha javadoc for each release. For example, the javadoc for Android 2.3.3 is here. 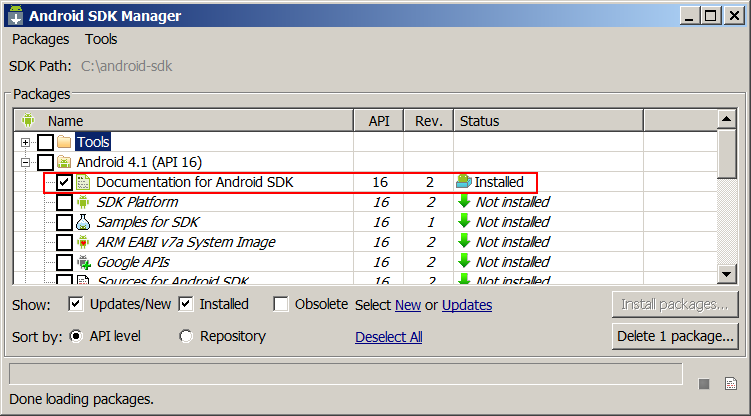 As an added bonus, this page will tell you how to determine the API level corresponding to your Android version. 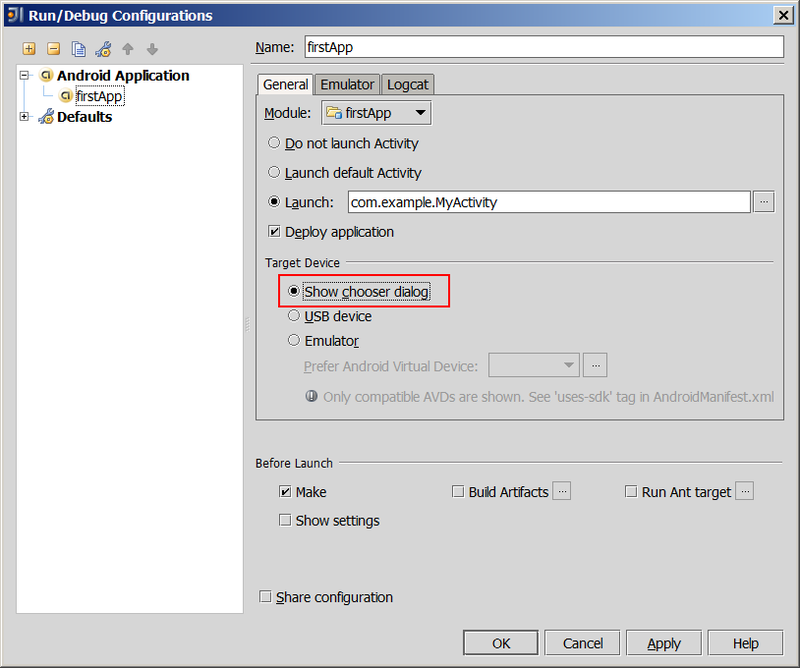 OK, you decided to drop the incredibly slow Android emulator that comes with the official SDK and you are now happily using Android x86… but how do you debug your Android application using Intellij ? That’s a good question ! 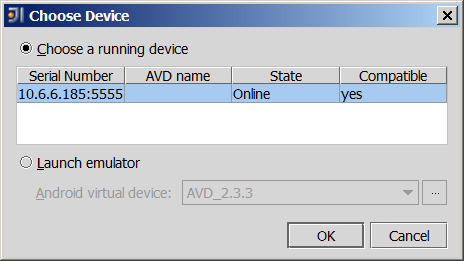 (By the way, if you may want to check my last post if you need help running Android x86 in VMWare player). 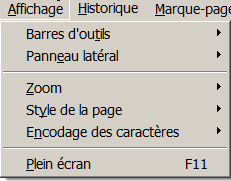 You can then hit ALT-F7 to go back to the Android UI. 3 hours ! I’ve lost 3 hours trying to enable network support in an Android x86 VM running in VMWare player. Looks like I was not the only one: just search for “android x86 no network” in Google and you’ll see what I mean. Anyway, Android x86 is an Android port to the x86 architecture, which means that you can run it on your PC (as opposed to running the slow-as-hell Google Android emulator). Check their website where you can download almost all Android distributions in .iso format. There are litterally dozens of tutorials that explain how to run Android x86 in Vmware player. This one is one of the best. The most important part is when Vladan tells us to change the “ethernet0.virtualDev” property to “vlance” in the VM configuration file (Read this if you want to understand what the possible values are). But I couldn’t make it work… do you know why ? Because the VM configuration file must be modified before you start the VM for the first time. If you start the VM, install Android x86, play with Android and then shutdown the VM to change the configuration file, it’s too late ! (And don’t ask me why because I have no clue). 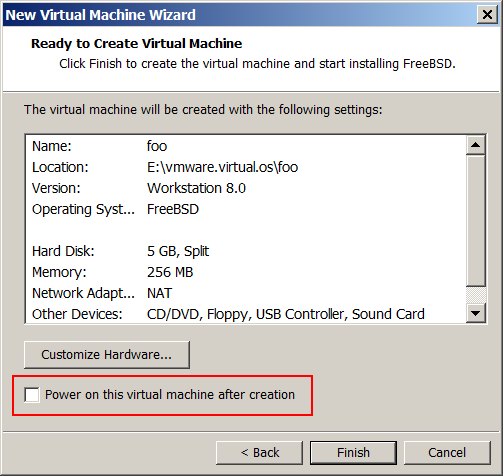 Then, modify the .VMX configuration file (ethernet0.virtualDev = “vlance”) and finally, start the VM and proceed with the installation. Do Android UI guidelines really make sense ? Today, I was looking at the “Pure Android” section on the Android developers website. Basically, they are telling you that an Android application must not look like an iPhone application or a Windows phone application. “Don’t use right-pointing carets on line items” ??? 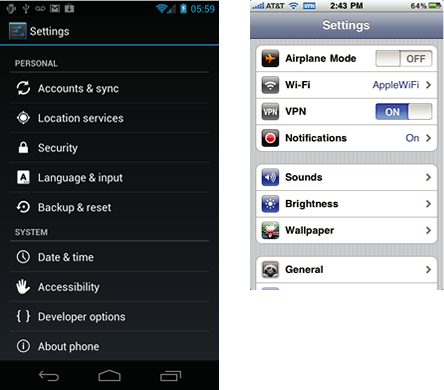 They then display a screenshot comparing the Android settings menu and the iPhone settings menu. I don’t know about you, but the iPhone menu really looks more clear to me (in fact, it looks more clear to several people to whom I’ve shown the screenshot). 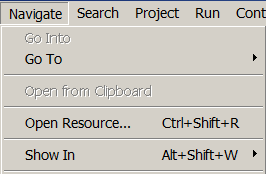 In fact, you can open anyone of the applications that you have on your computer and I’m sure that menu items will either end with “>” or “…” to indicate that there are more options to come. BUT for some unkown reason, the Android team is telling you that this is bad bad bad and that on their platform you should not do this. I don’t know about you, but I will certainly not do it: if everyone else is doing this differently, there must be a reason for that ! Now let me ask you a question: let’s say that your UI decisions makes your application easier to use but do not correspond to the official UI guidelines: what do you do ?